Thaddeus Logan, author of Hey Cabbie! The other week I spent an afternoon with Thaddeus Logan, author of the book Hey Cabbie! and it’s upcoming sequel. 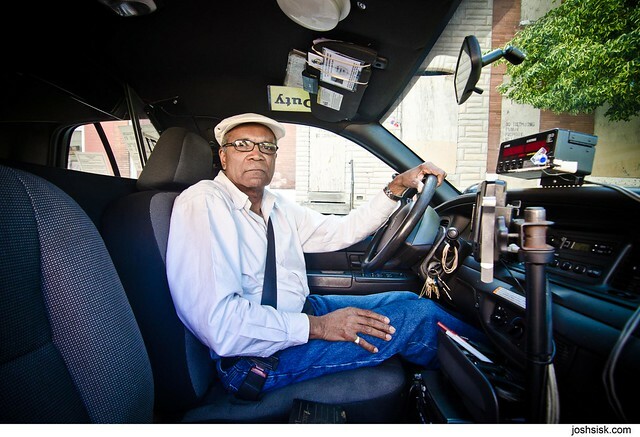 A cabbie in Baltimore City for more than 30 years, his books tell stories about the city, his experiences, and some of the more notable experiences he’s had behind the wheel – some sad, some exciting, some scary. Thaddeus and I drove around to locations he talks about in the book, taking his photo for a City Paper article about him and his books. The image above is what ran, but click here to see other photos from our shoot. ← Maryland Death Fest – a look back in photos.